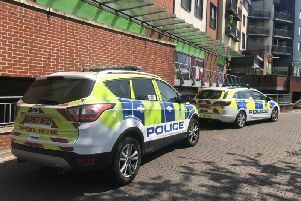 Police have provided an update into the sudden death of an 18-year-old man, saying that a ‘hazardous chemical substance’ was believed to be near the body. Emergency services were called to a house in Grove Road, Worthing at lunchtime yesterday and ambulance staff wearing bio-hazard suits were seen entering the property. Click here to read the original story. The road was temporarily closed, and neighbours are believed to have been told not to leave their houses while emergency services dealt with the incident. Sussex Police has issued a statement, which said: “Police were called to a report of a man found dead at his home in Grove Road, Broadwater, Worthing on Monday (29 August) at 12.35pm. “It is believed that there may have been some hazardous chemical substance near the body of the 18-year-old so specially trained ambulance and fire crews attended the scene. The body was recovered safely.